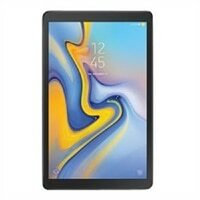 GALAXY TAB A 10.5IN 32GB BLACKSuper high resolution screen offers amazing mobile viewing experience. Its display features a lot of pixels, allowing you to enjoy stunning quality, whether you're viewing photos, videos, e-books or webpages. Switch your viewing perspective in a flash. Simply connect via Wi-Fi direct to share and watch content between your TV and tablet interchangeably without the hassle of messy wiring. Smooth to the touch with an elegant streamlined finish that looks and feels great in the hand, its beautifully minimalistic design is a sight to behold from every angle.